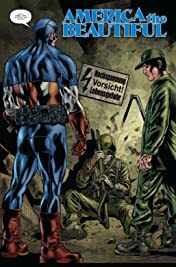 Collects Captain America Theater of War: America the Beautiful, A Brother in Arms, To Soldier On, Ghosts of My Country, America First!, Operation Zero Point, Prisoners of Duty. 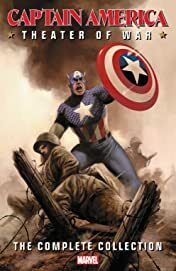 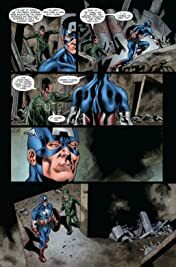 Seven tales charting the adventures that made Captain America the Sentinel of Liberty we know today — from skinny Steve Rogers to the shield-slinger leading battalions of men into battle! 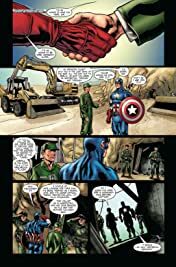 He'll be forced to choose between his country and his best friend, and will experience one of his darkest days when a World War II mission goes wrong. He'll take on Soviet Russia and Nazis defying the laws of physics. 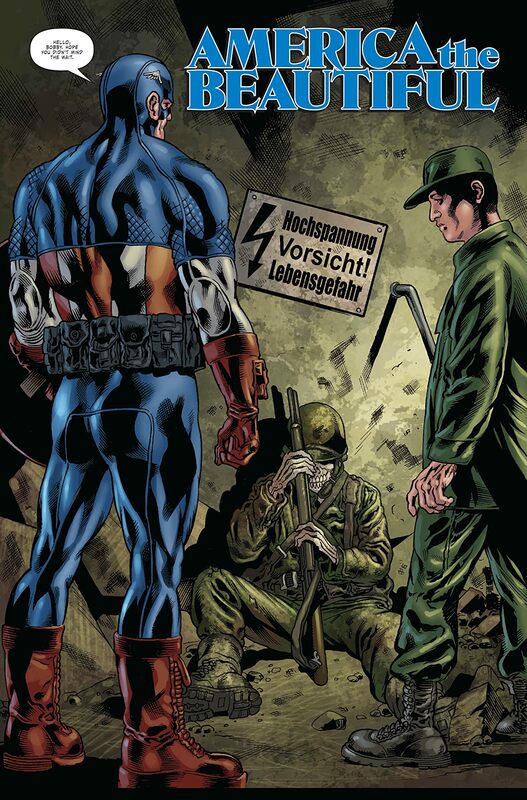 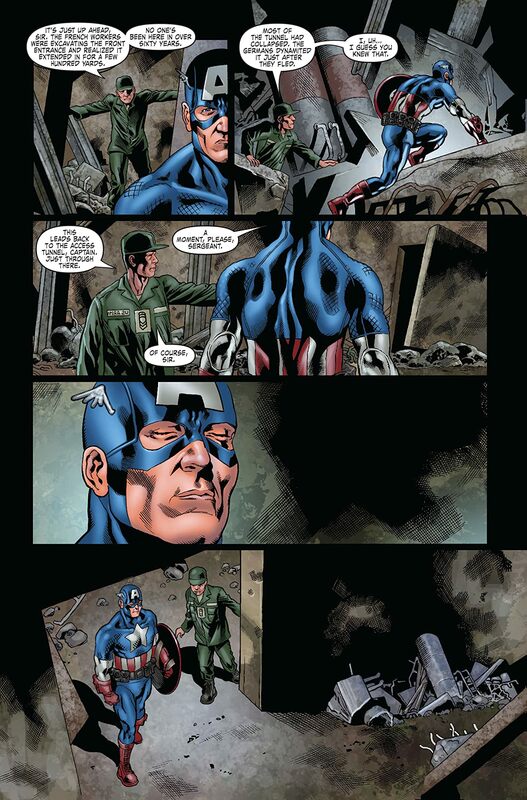 And wounded behind enemy lines, Cap will face his greatest challenge: escaping a prisoner-of-war camp as plain old Steve Rogers! Plus: Witness the star-spangled super-soldier's legacy reverberate through the ages in a story set during the Gulf War!